I was in denial all the way to the hospital that morning. 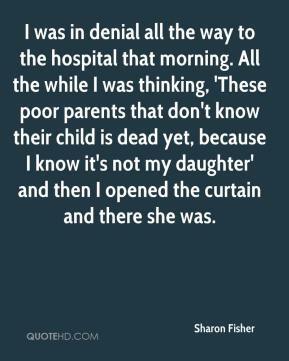 All the while I was thinking, 'These poor parents that don't know their child is dead yet, because I know it's not my daughter' and then I opened the curtain and there she was. It's not surprising at all. 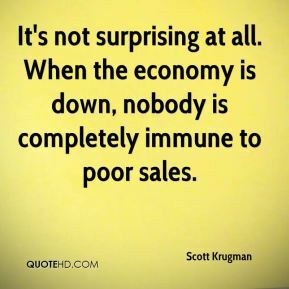 When the economy is down, nobody is completely immune to poor sales. 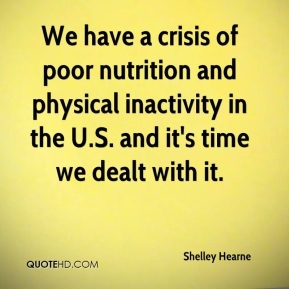 We have a crisis of poor nutrition and physical inactivity in the U.S. and it's time we dealt with it. 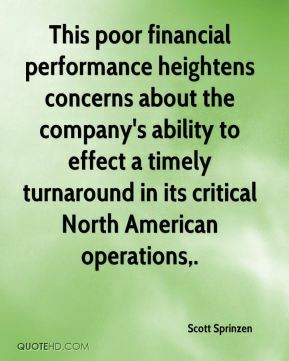 This poor financial performance heightens concerns about the company's ability to effect a timely turnaround in its critical North American operations. 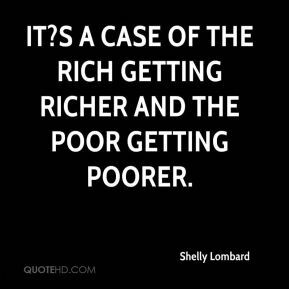 It?s a case of the rich getting richer and the poor getting poorer. These migrant workers are just poor people who, by no fault of their own, become illegal. You've just got to learn from a day like today. I'm a poor player if I don't come back and try to get better. I've been working a lot with the coaching staff, really trying to figure this thing out. 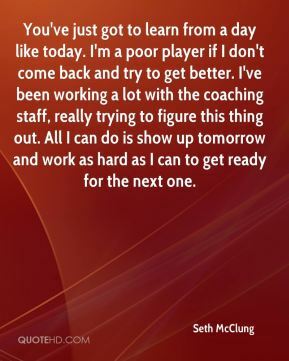 All I can do is show up tomorrow and work as hard as I can to get ready for the next one. [In Saudi Arabia, the report noted the government's] human rights record remained poor, ... views its interpretation of Islamic law as its sole source of guidance on human rights and disagrees with internationally accepted definitions of human rights. 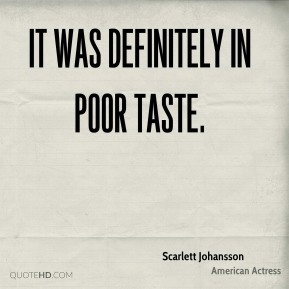 It was definitely in poor taste. It was definitely in poor taste. I'd been prepping for two hours with hair and makeup and getting dressed. And the first interview I do, someone who I have never met before fondles me for his own satisfaction. 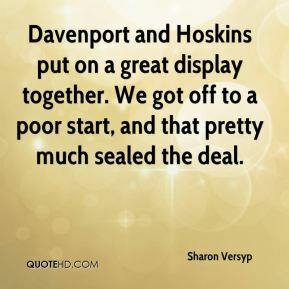 Davenport and Hoskins put on a great display together. We got off to a poor start, and that pretty much sealed the deal. 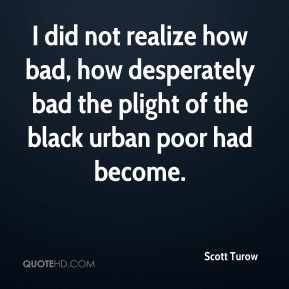 I did not realize how bad, how desperately bad the plight of the black urban poor had become. 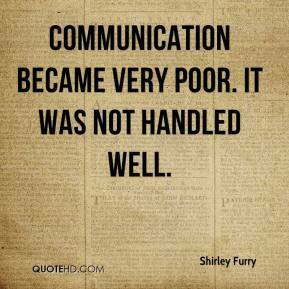 Communication became very poor. It was not handled well. Obesity is a national problem, and poor diet and insufficient exercise are recognized as the primary causes. 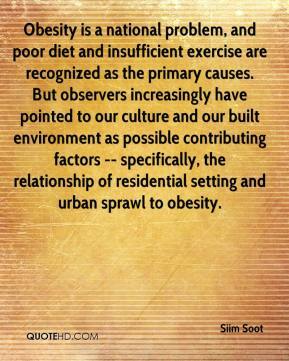 But observers increasingly have pointed to our culture and our built environment as possible contributing factors -- specifically, the relationship of residential setting and urban sprawl to obesity. 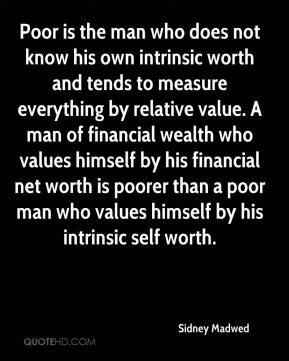 There are poor and hungry people right around us. 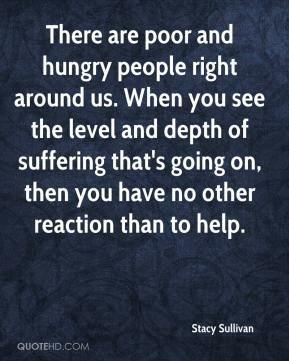 When you see the level and depth of suffering that's going on, then you have no other reaction than to help. I thought I came from a poor neighborhood until I got to Korea. 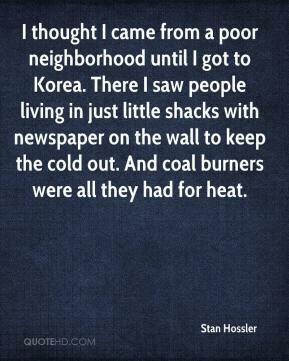 There I saw people living in just little shacks with newspaper on the wall to keep the cold out. And coal burners were all they had for heat. 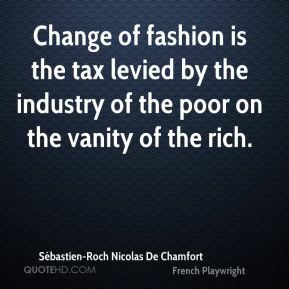 There are many 'little Katrina' disasters across the nation where the poor are ignored and are left out of society. 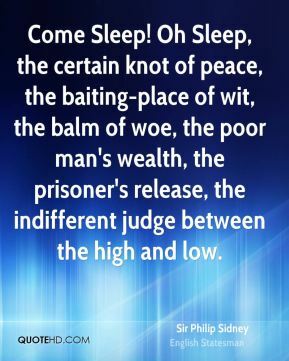 Society deems poverty a stigma but those trapped in poverty don't have choices. 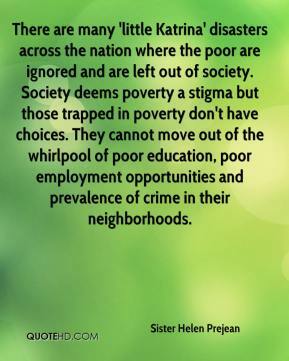 They cannot move out of the whirlpool of poor education, poor employment opportunities and prevalence of crime in their neighborhoods. 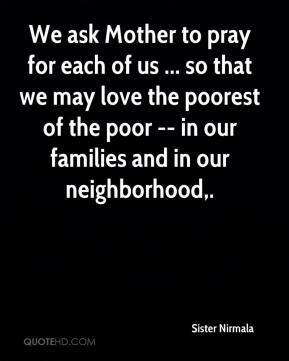 We ask Mother to pray for each of us ... so that we may love the poorest of the poor -- in our families and in our neighborhood. 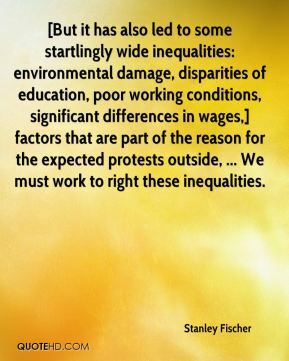 [But it has also led to some startlingly wide inequalities: environmental damage, disparities of education, poor working conditions, significant differences in wages,] factors that are part of the reason for the expected protests outside, ... We must work to right these inequalities. It was almost a no-win situation for him - unless he won three straight national titles. 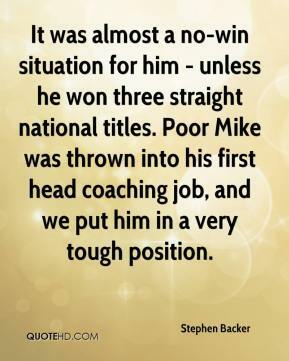 Poor Mike was thrown into his first head coaching job, and we put him in a very tough position. I saw the kids make poor judgments, and they didn't use the wind well. 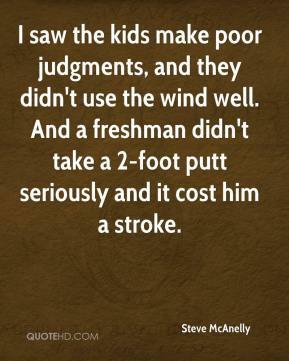 And a freshman didn't take a 2-foot putt seriously and it cost him a stroke. 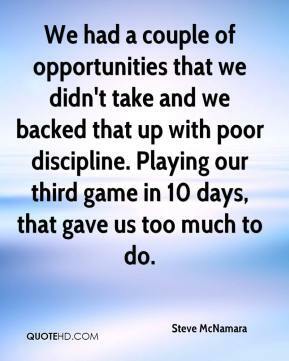 We had a couple of opportunities that we didn't take and we backed that up with poor discipline. Playing our third game in 10 days, that gave us too much to do.